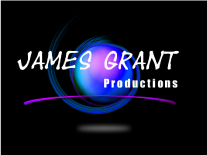 Enjoy a wide selection of entertainment services from James Grant Productions. Whether you’re throwing a small birthday party or planning for a large corporate fundraiser, our entertainers can personalize our show to fit your specific needs. Choose from magic shows, hypnotists, DJ services, glitter and airbrush tattooing, hypno dance parties, and more. Book your entertainment today – call James Grant Productions! Thank you very much for making our wedding/social an absolute blast. You played the music without leaving anything that we wanted out. It was very good, and we thank you! Thanks for making our social so special. Went beyond our expectations! Will be recommending for sure!